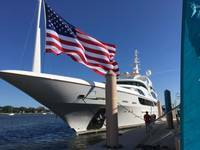 AER Supply, an international distributor of marine products, is showcasing a full range of LED lighting products for the commercial marine industry at the 2013 WorkBoat Show. AER was recently named as a distributor for the Hella line of commercial marine LED lighting solutions. 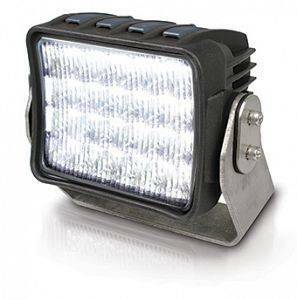 The range of products includes navigation lights, interior lights and lamps, exterior floodlights, chart-table lamps, light bars and flashing signal lights, all based on LED technology. They are certified to the international quality standard ISO 9001:2008 by Bureau Veritas. Originally founded in 1925 in Germany, Hella is now based in Auckland, New Zealand. The company designs and manufactures innovative LED lighting solutions for the marine, commercial transport and automotive sectors. In addition to the Hella lights, AER Supply and its subsidiary AER Marine Supply will show a full range of marine products from top suppliers including Dometic, Parker SeaRecovery, Parker Racor, Hella, Jabsco, NewMar, Mastervolt, Speich, Steyr Motors and – new for 2013 – Severn Trent De Nora, in Booth 3342.